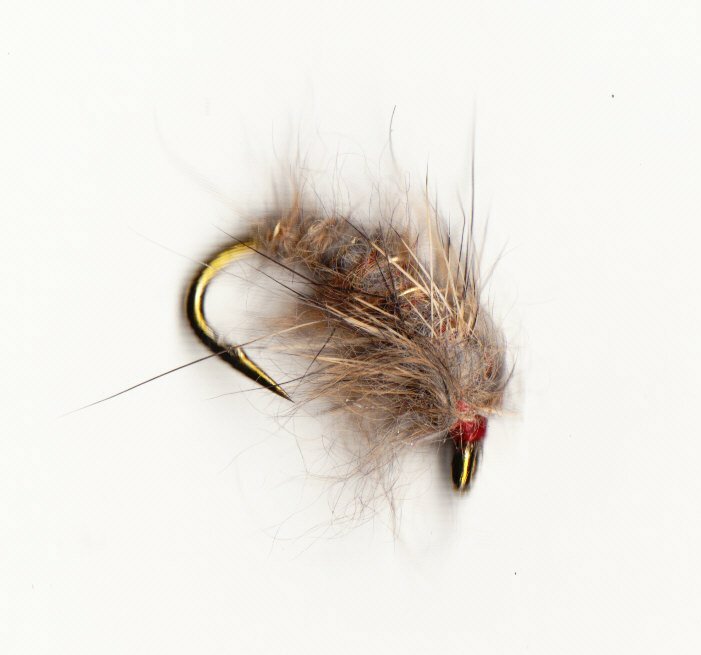 Well detailed elsewhere, these heavy flies have given the flyfisher a way of catching trout and grayling in those fast boily runs that are hard to fish with normal tactics. 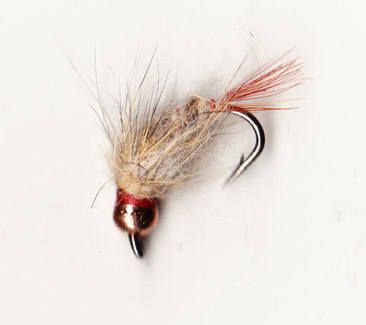 Well worth a try for sea trout and more than a few salmon are also being tempted in difficult conditions when downstream and across fails. Mixed sets first, lookdown the page for same weight sets. 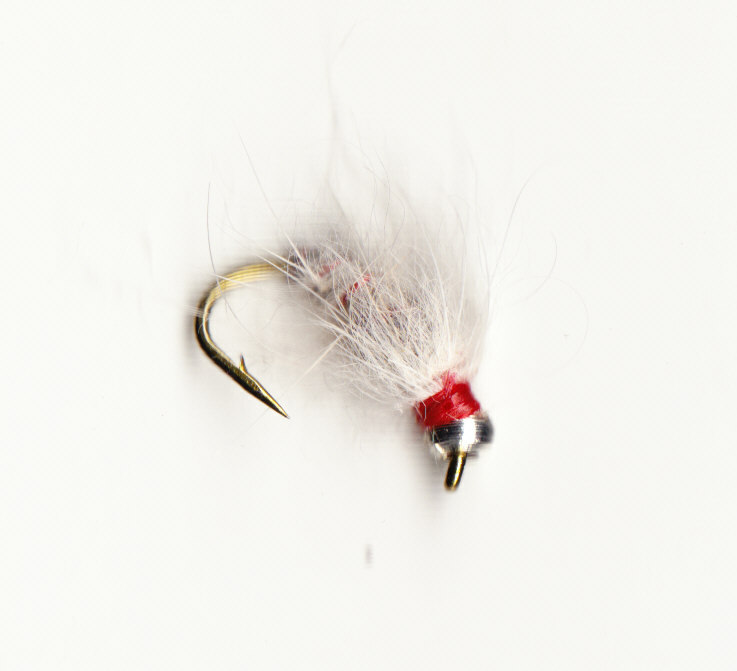 These are the lightest and can be used as point flies and normal fly tackle. 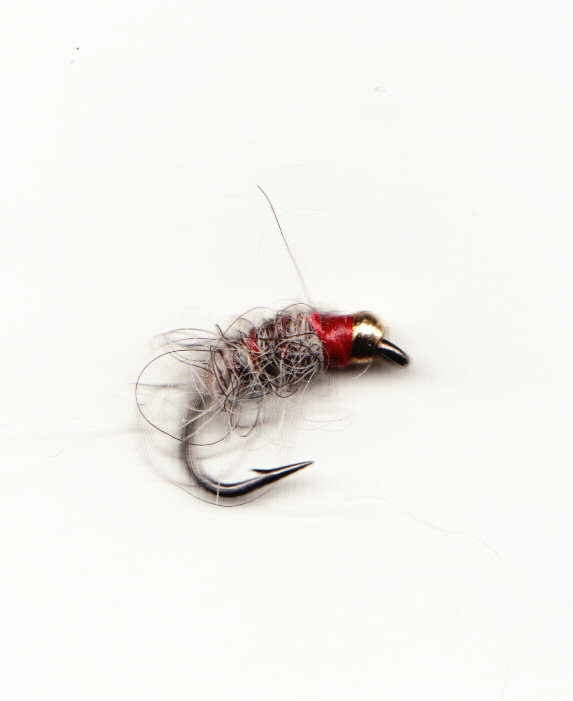 Pink Larva, Gold Ribbed Hares Ear & Killer Bugs. 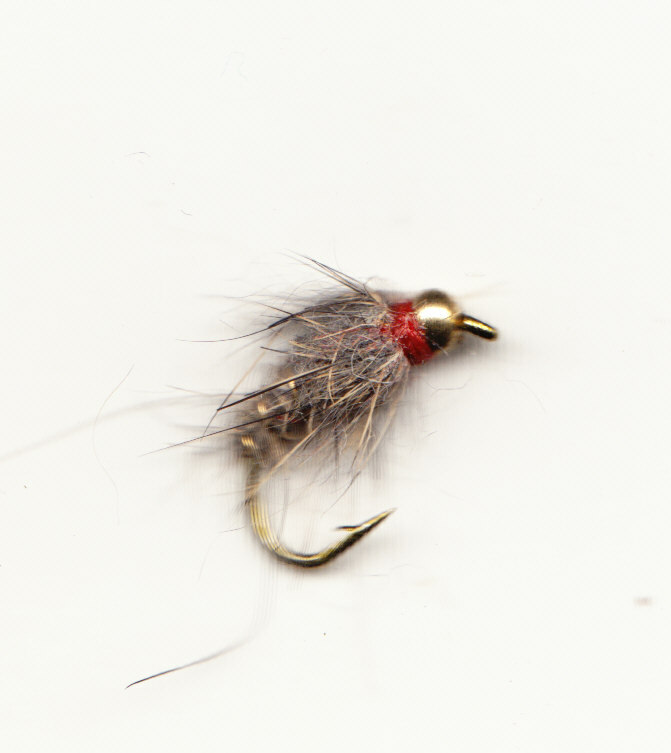 Tied with 3mm beads and lead, these are heavy flies. 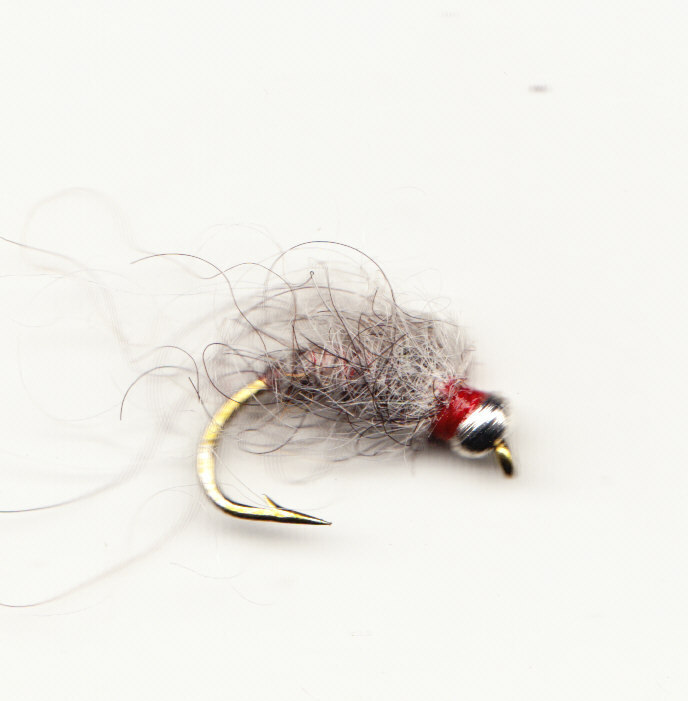 Remember all beaded patterns are heavier than leaded flies. 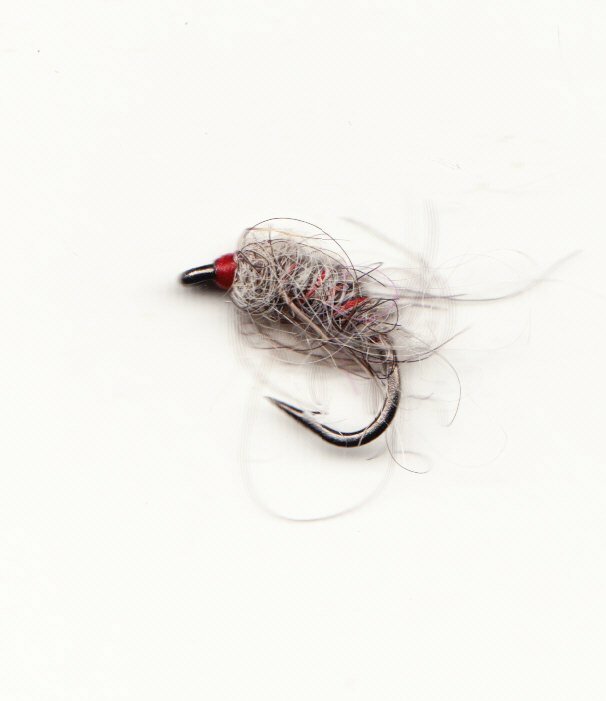 GB Hares Ear, GB Killer Bug & GB White Larva. The bead colours are lime and orange- they do not show up on my scanner!